There’s nothing more refreshing on a hot summer day than a cold fruity drink, and this is the perfect one to mix up for everyone! 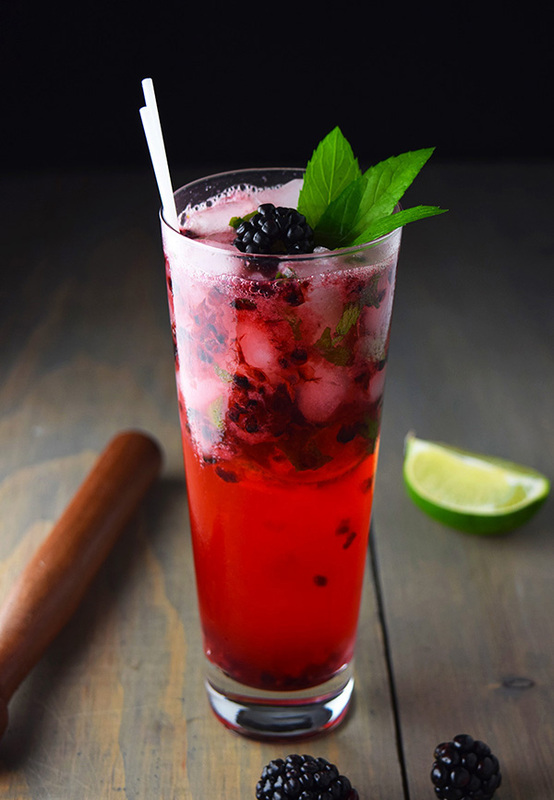 If you’ve got someone who doesn’t love blackberries, just substitute another fruit (strawberries, mango, raspberries, kiwis, peach) — a mojito is a perfect flavor combo with anything! In a shaker, muddle limes, mint leaves, blackberries, and simple syrup until pulverized. Add rum and ice and shake for 10 seconds. Pour contents into a glass (no straining) and top with two ounces of club soda. Stir and garnish with mint leaves and a blackberry.